Coffee Meets Bagel and Zoosk's new Lively app are taking social cues from the popular video messaging app. In order to differentiate themselves from Tinder, dating apps are now borrowing social and privacy features from another super-popular mobile service: Snapchat. On Tuesday, Coffee Meets Bagel optimized its user-experience to give women more control over their dating connections. 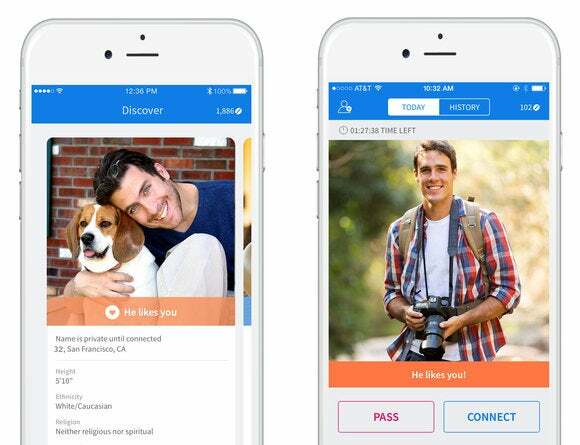 On the same day, Zoosk launched Lively, a brand-new dating app that uses video profiles so you can get a more accurate portrayal of your potential dates. The Coffee Meets Bagel update is now available for both iOS and Android, and Lively is iOS-only for now. Coffee Meets Bagel was founded with the premise of sending you just one potential match (or a “bagel”) every day at noon, and has since made 2.5 billion introductions. Starting today, the app will surface more daily matches based on gender. Male users, who prefer to browse through more matches, will receive up to 20 a day, while women, who are more selective in the app, will get upwards of five daily matches. Another big change: Women will only get matched with men who’ve already “liked” them on the app, giving female users something the company calls #LadiesChoice, or the power to start chatting with them instantly. Coffee Meets Bagel is one of only three dating apps where female users make up a majority, or about 57.3 percent, according to a recent SurveyMonkey poll. Coffee Meets Bagel has incorporated a Snapchat-esque appeal since its launch in 2012: Users have 24 hours to either accept or reject a given bagel. But by expanding the number of bagels, the company could also see a boost in daily engagement. Coffee Meets Bagel users check the app on average of 2.4 times a day, whereas the average Snapchat user spends 30 minutes on the app every day. Furthermore, the #LadiesChoice feature adopts the built-in protection of private messaging apps to help women avoid harassment and unwanted attention. 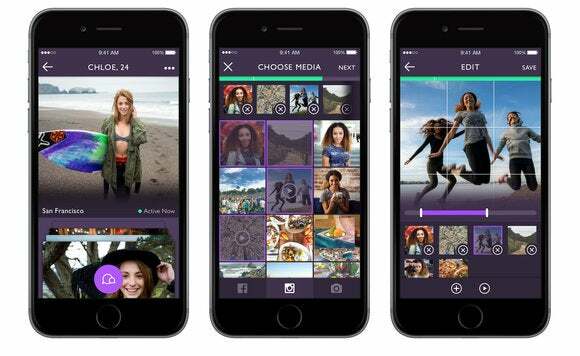 A more obvious Snapchat replica, Lively is the brainchild of Zoosk, an online dating site and app with 38 million users. The company bills Lively as the first dating app to go beyond pictures and text because it lets you tell your “story” by creating a dating profile that incorporates videos. Yes, Snapchat has a very similar feature called “Stories.” You can edit your Lively collage in-app, and even pull photos and videos directly from Facebook and Instagram. 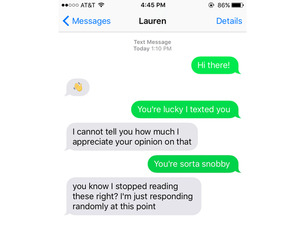 The idea for Lively came after Zoosk surveyed its young users and found that most of them thought social media profiles were more informative than traditional dating profiles. Instead of updating its existing Zoosk app, the company opted for launching a brand-new dating app. According to SurveyMonkey, only 8.4 percent of Zoosk users are younger than 30, a lower percentage than on Match.com. Understandably, Lively seems to have been designed to help Zoosk close that age gap. It’s a dating app tailor-made for the Snapchat generation. Why this matters: These drastic changes prove that dating apps are not afraid of taking big risks in order to standout. And in terms of daily engagement and younger demographics, there is no better example to try to imitate than Snapchat.